There are four different types of light bulb technologies still in use today, all of which have their own unique pros and cons. Below are the light bulbs explained and how they can affect your energy consumption, electrical bills and your lighting in your home. 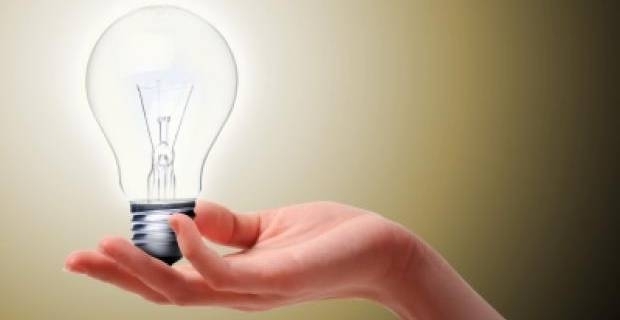 EU regulations are pushing the removal of one particular type of light bulb technology, so you will have a wider choice of bulbs when it comes to replacing the soon to be removed bulbs. The incandescent bulb is the most common light bulb technology in use, but is under attack from EU legisaltion and is currently being phased out to be replaced by more energy efficient technology (the light bulbs listed and explained below). Incandescent light bulbs work by heating a small tungsten filament in the bulb and producing light. However, to produce any light at all the tungsten filament must be hot and produce a lot of heat. Because of this, incandescent light bulbs are regarded as a waste of heat and energy (they also cost more to use compared to new energy-friendly alternatives) and also dangerous because of the high temperature they will reach when in use. Halogen bulbs work on the same principle as incandescent bulbs, but instead use halogen gas inside the bulb to help maintain its life and quartz glass material for the bulb to keep heat inside the bulb and reduce heat loss. Compared to a normal incadescent bulb, halogen light bulbs last marginally longer. CFL light bulbs use a gas which emits ultraviolent light when 'excited' by electricity; the ultraviolet light hits the coating (phosphour) of the light bulbs and emits the light you see. They are more expensive than halogen and incandescent bulbs, but last up to 15 times longer and are a more energy efficient alternative. Light emitting diode light bulbs are best explained as a current of electricity passed through a diode and amplified by the coating of the glass; there is no filament and the light bulb is extremely energy efficient, saving you more money on your electricity bills and cutting down your carbon footprint. However, LED light bulbs are the most expensive of the four choices.